Lectures, conferences, award ceremonies and live demonstrations: This year again the participants in BAUMA CONEXPO INDIA can look forward to a diverse program of supporting events. The fourth edition of the show takes place from December 12 to 15, 2016 at the HUDA Ground in Gurgaon, Delhi. The Builders’ Association of India (BAI), the Indian Construction Equipment Manufacturers’ Association (iCEMA), the International Powered Access Federation (IPAF), Construction Times and Construction Opportunities are organizing three days of conferences, lectures and trade events. 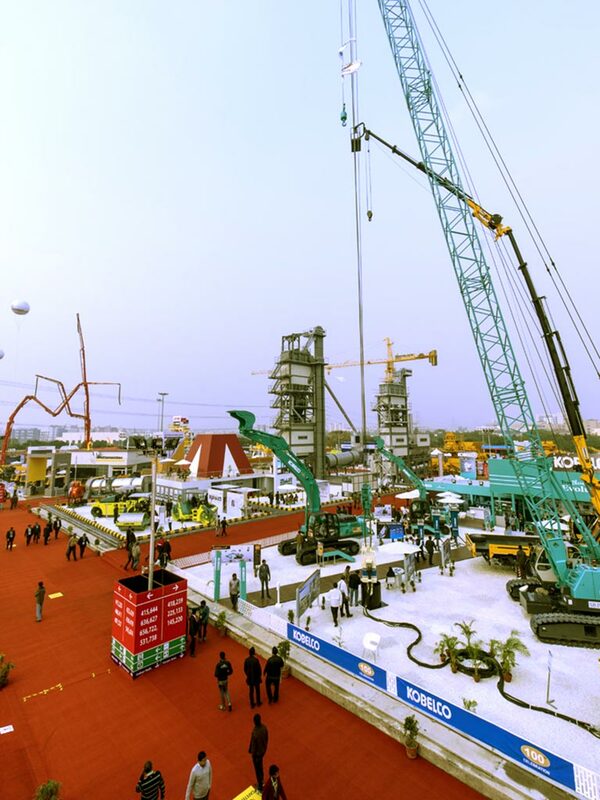 BAI, the long-term partner and joint organizer of BAUMA CONEXPO INDIA, traditionally makes good use of this trade show as a networking platform for its members. On Monday, December 12, for example, the BAI Managing Committee Meeting is being held. Following the meeting, the participants will be given a guided tour of BAUMA CONEXPO INDIA. IPAF, too, is taking the opportunity to hold an all-day members’ meeting on the first day of the show at the HUDA Ground. The association itself is handling invitations to this event. On the afternoon of December 12, Construction Times is honoring the best in construction and infrastructure with its “Construction Times Awards 2016”. On Tuesday, December 13, iCEMA is holding a conference on the subject of “Infra redux—New and sustainable horizons”. The event is intended as a platform for presenting the emerging growth trends in Indian infrastructure. Specifically the topics addressed include: “Reviving infrastructure—New paradigms”, “Rural Infra—Bringing Bharat closer to India”, and “Holistic equipment solutions—Current need of the hour for Infra growth”. The event is directed, for example, at construction firms, government authorities and departments, technical experts and also manufacturers of equipment. On Wednesday, December 14, the first “Conference on Maximizing CE Sector Opportunities” will be taking place. This conference, and the presentation of the “Construction Opportunities Excellence Awards” which follows it, are organized by Construction Opportunities. The event aims to be a networking platform that also provides answers to the challenges currently faced by the sector. The target group for this event includes OEMs, suppliers of components, financial services providers, rental and leasing companies, infrastructure companies, engineers and public and private decision-makers.